Information technology is everywhere these days and your information is priceless. Keeping your data secure is a task by itself, especially if your business records personal information, processes payments, or holds any other digital records. Everyone that accesses your information should have an adequate level of data security training. We now offer small sessions designed by experts to give your team the information they need to stay secure. As more people rely on the internet and computers for everyday life and business, the likelihood of data security compromise dramatically increases. The US Bureau of Justice Statistics estimates that about 18 million Americans were victims of identity theft in 2014. At least 68% of the victims of cyber theft sustained monetary loss of $10,000 or more. The numbers are likely underestimated because it’s difficult to account for and report all cases of data security compromise. In fact, some major companies have been caught delaying notice of major security breaches, which put millions of unsuspecting customers at risk (see this story). Storm Sector has worked with numerous US businesses to identify security weaknesses and address them before they cause problems. We see outdated data procedures, obsolete equipment, unsecured workstations, and failure to account for access as the main causes of security compromise. Everyone in your business must have adequate computer security training to avoid major problems. It’s best to invest in a small amount of training to gain the huge return on investment of better security, more efficient operation, and avoiding costly mistakes in the future. We train employees to use the most efficient procedures, best practices, and industry standard techniques. These methods help secure your company data and gives your customers confidence that their information is secure with your business. Data security is never 100%. However, the right training and implementation means that the risks are dramatically reduced. 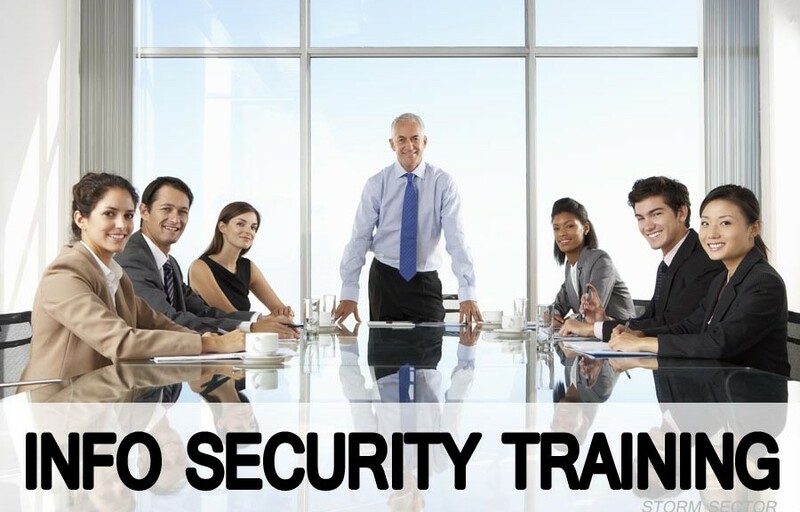 Data Security Training (DST) – 1 Session: Training session 3 hours length for up to 30 employees. Includes digital presentation and question/answer session. Expert resource will come to your place of business and present important data security information. Security risks, internet security, hacking, identity theft, authentication, password technique, two-factor, firewall, antivirus, trojans, and other topics will be discussed. Session is designed for businesses to raise secure operating practice awareness and reduce data compromise risk. Small Business Digital Security Audit: Designed for small businesses, small restaurants, and other independent businesses to utilize an expert internet technologist to review all company computers, network, and CCTV for consistency, effectiveness, efficiency, and present recommendations. Typically less than 1 day in length. Security audits are important because technology is always changing and an expert may be able to identify threats/weaknesses before they begin to negatively impact your business. We can offer flat/group rate pricing for businesses of any size. We also welcome schools and non-profit organizations. Contact us for more information. We’re looking forward to helping you secure your business.